Zoner Photo Studio has everything you need to download, edit, manage, save and share photos. More than just a photo editor, it’s an A to Z suite of tools that streamlines your photography workflow. 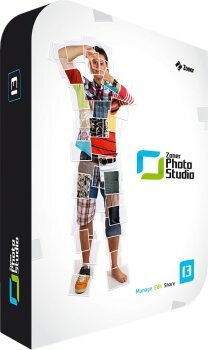 Zoner Photo Studio is a stand alone program and looks like Adobe Lightroom, Cyberlink Photo Director 5, Corel Paint Shop Pro X6 and any other tagging and editing suite on the market today. - шаблоны для календарей, телефонных книг и т.д.